Home » Articles » What Does It Mean When a Cat Meows? While meowing is a way of communicating, it’s not the way the cats communicate with each other. Cats use scent, body language, touch and facial expressions to communicate with other cats. Meowing is used by kittens to get the attention of their mother. Once they’re fully grown, this kind of meowing will stop. The kind of meowing we hear has been exclusively developed for humans. Cats learn that we don’t respond to things like scent and body language. However, we do respond to sound – which is why they learn to meow. So what do those meows mean? There are lots of theories as to what different meows mean – some examples are that your cat might want attention or might want food. It could also be that your cat is greeting you, or if you can hear your cat meowing from elsewhere in the house it could mean that your cat is lonely. If the amount of meowing your cat is doing has increased then this could be a sign that there is a problem. For example, if something has happened to make your cat stressed or anxious then this could lead to an increased amount of meowing. Excessive meowing could also be a sign that your cat is illness or is otherwise in pain or experiencing discomfort. If the excessive meowing continues outside of situations where your cat is stressed, then we advise you take your cat to the vet for their advice. We hope this answered your questions meowing and what it means. 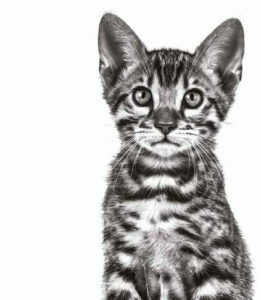 However, if you have another question about cat communication, feline behaviour, or any other questions about cats then we’d like to help. Submit your question below.